After a great gig in Spring and Airbrake in February we are pleased to announce The Dirt will be back on Northern Irish soil on the 18th Of August in the Empire Music Hall. 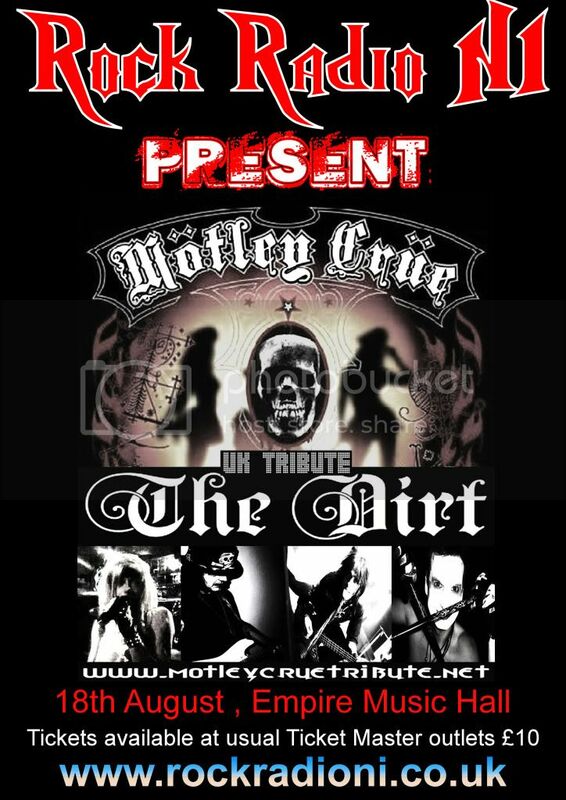 if you missed it last time they are the UK's best Motley Crue Tribute and put on one heck of a show as you can see from the video below , we aim to introduce a few additions to the stage show this time and promise it'll be a cracking night out. Tickets will be available from all good ticket master outlets priced £10 .